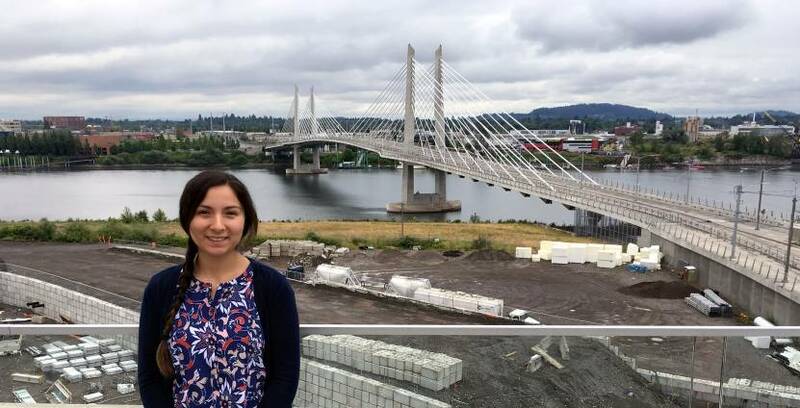 Dove Spector is a senior research assistant with the Northwest Native American Center of Excellence. Her role is to support tribal engagement and help Native American youth envision a future in advanced education and beyond. She also supported the grant-writing team for the launch of the center, where a number of programs support the primary mission — to recruit, train and retain Native Americans into medical professions. She is featured in this month’s In the Lab series. What is your research and why is it important? My role at the Northwest Native American Center of Excellence is to support Tribal Engagement and Native American youth to envision themselves at a college level and beyond. Using the tools of social media, I work closely with two nonprofits, We R Native and We Are Healers. Through innovative collaboration, we recently launched a text messaging platform to connect Native American youth to resources, scholarships and mentors. On top of my work with student outreach, I also recently launched and completed the first cohort of Tribal Health Scholars, a 14-week clinical shadowing enrichment opportunity for Native American high school students at the Warm Springs Reservation. Currently, I am in the process of recruiting for Cohort 2 at Warm Springs and expanding this program to another tribal community in Oregon. Tribal Engagement was key in starting Tribal Health Scholars. There was a lot of relationship building that needed to happen before launching this program. Key organization that were critical in implementing Tribal Health Scholars were the Confederated Tribes of Warm Springs, Portland Area Indian Health Service, the Warm Springs Health and Wellness Clinic, Madras High, and with OHSU’s OnTrack.In our first cohort we had three scholars and over 40 people working together to ensure the students were supported. The joint collaboration was key for Cohort 1’s success and I am looking forward to seeing how the program will continue to grow. I love working with the nine tribes of Oregon. I am a member of the Nez Perce tribe and my homelands are in the Wallowa’s of Oregon. The voice of the tribes is invaluable to improving the health and well-being of American Indians/Alaska Natives people. My supporting role of the Tribal Engagement team at the Northwest Native American Center of Excellence is important to ensure successful implementation of all of the Center’s goals and programming. What was an important moment for you as a researcher? I have a little different relationship to research. I’m in the world of research not because I found something exciting, but because I found something really frustrating. Learning of the historical trauma that has happened with researchers in tribal communities and witnessing the persistent mistrust between researchers and Native American communities, it makes me angry. I had no idea what research was and I didn’t expect to end up in this world because I didn’t have role models to guide me here. I was fortunate enough to have a great mentor, Dr. Kelly Gonzales, who exposed me to this world and encouraged me to pursue a career in research. All along my journey into research, I have had key mentors guide me and validate my belonging. Our evaluation co-investigator for the Northwest Native American Center of Excellence is Dr. Patty Carney — she is one of our most enthusiastic team members and plays such an important role for the Center. From the moment the Northwest Native American Center of Excellence was launched, she has made me feel really valued in terms of my input. One time we were making a survey, and we were looking at demographics — male/female/don’t want to answer. And I said, “we need to add two-spirited.” She said “Done. Thank you so much for telling me that.” Then a week later she said, “What does that mean?” So first, there was no hesitation for her to include my input in the evaluation, and then there was such a willingness from her to learn what that meant. That was really powerful for me. She is a very accomplished faculty member in the department of family medicine and has published over 200 manuscripts. I have understood for a long time how important it is for me to have a voice in a research setting — this moment validated me in my goal to serve Native American people. What’s your daily professional life look like? I’ve been recently doing a lot of travel — a lot of community engagement and relationship building. Also I’ve had an inpouring of Native American students who are interested in health professional careers and they reach out to me regularly. They say “Dove, I need more information … I’m in high school and I want to be a neonatal doctor. What does that mean?” This is all very qualitative and so I have had to create systems to triage and track these students for follow-up and resource development. Fortunately, we have a great team at the Center and this wasn’t a task I had to create single-handedly. It’s amazing to see something like this happening at OHSU. During the summer going into my freshman year of high school, I participated in a program called “YO Science (Your Opportunity into Science) at OHSU. Then in 2015 I participated in the OHSU Equity program. OHSU has been integral in my academic journey and it is amazing to be a part of the Northwest Native American Center of Excellence. The Center really takes supporting Native Americans into professional schools to a whole new level. 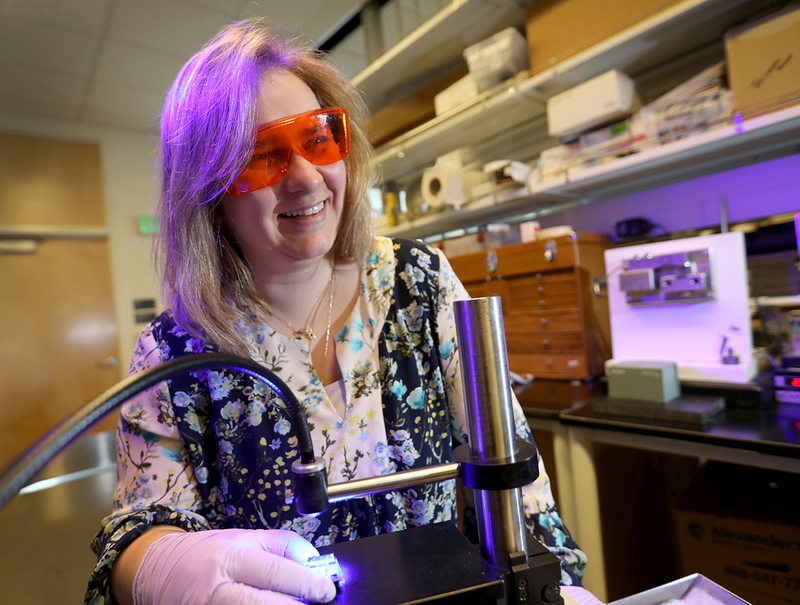 In the Lab looks at the people in the laboratories — and clinics and communities — who help make OHSU such a vibrant research institution. In each post, researchers and clinician scientists describe their current work and life as researchers. Have someone you want to see featured? Email Strategic Communications.